I've been wanting to make dim sum at home for a while now. 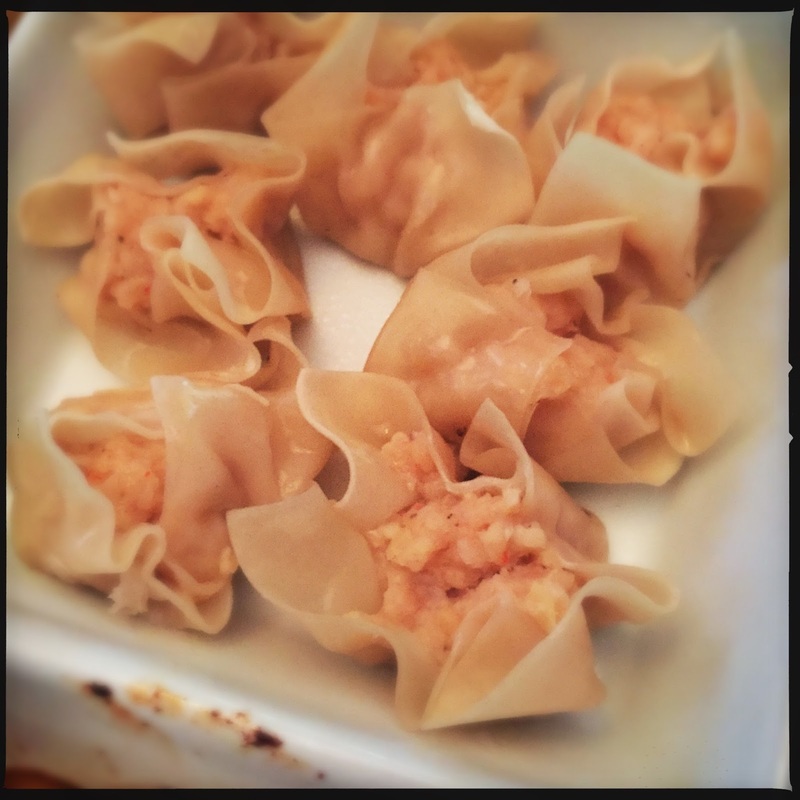 I've made steamed pork buns and potstickers before, but I wanted to try my hand at other kinds of steamed dumplings. So, last night, Nick and his daughter Maggie came over to prepare dinner with me. 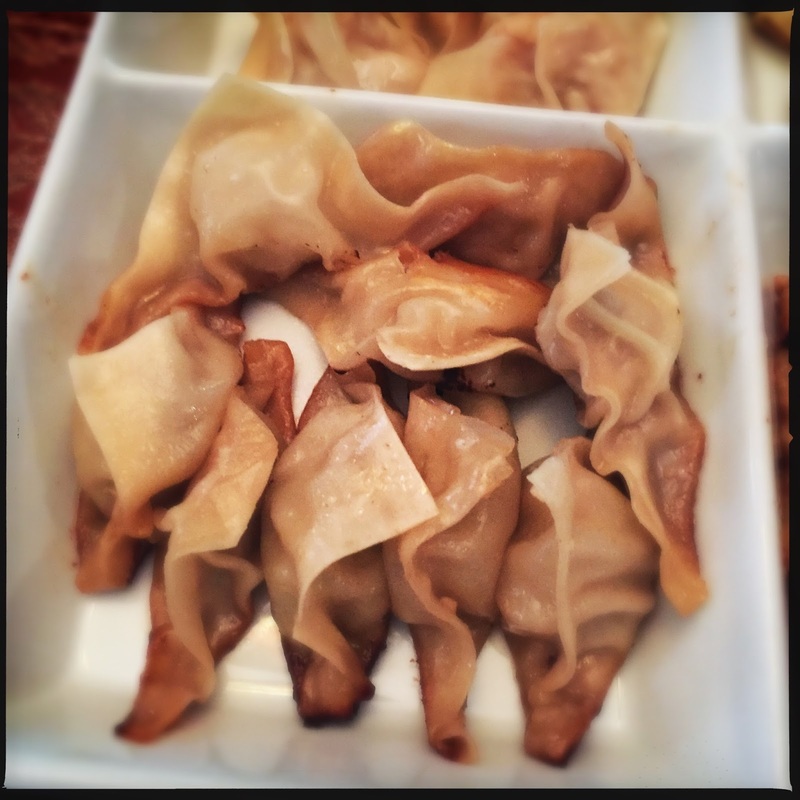 Maggie was in charge of making sesame chicken potstickers, and she did a fabulous job! She also made a spicy peanut dipping sauce (recipe at the end of this post) to go with them. 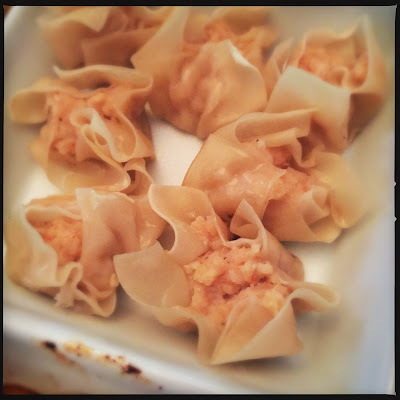 I was in charge of the shrimp shumai, a recipe that I wanted to test so that I can use it in an upcoming cooking class. I was very happy with both of these recipes, and I will definitely make them again. They were much easier and not as tedious as I'd expected. Today, I'm using the leftover chicken filling (it makes way more than 20!) to make meatballs that I'll eat with rice and veggies. 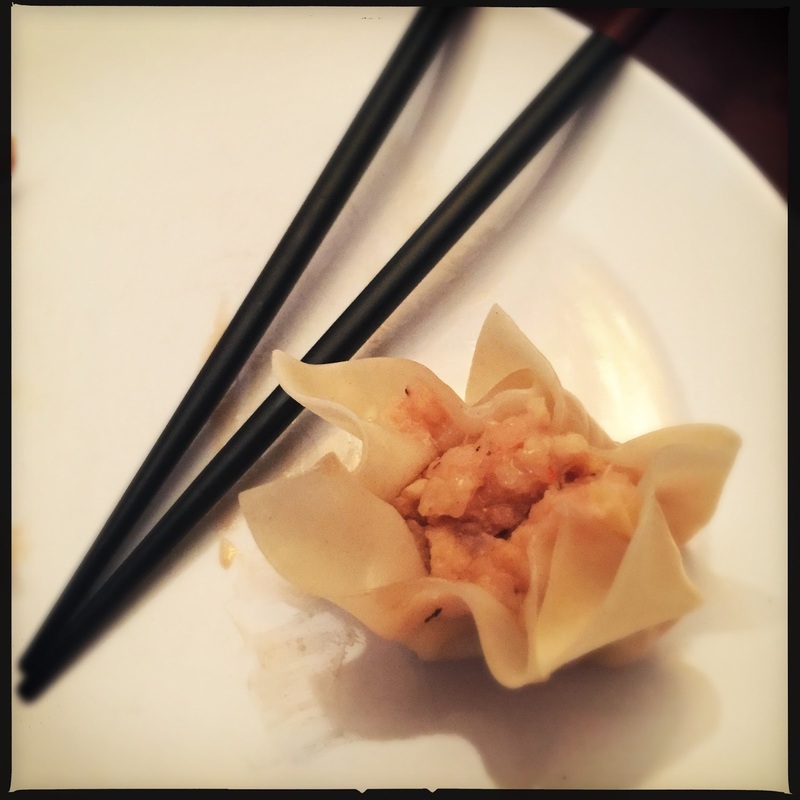 Note: It's probably easier to make prettier dumplings if you use round wonton wrappers. However, all I could find at my local supermarket was square wrappers. They worked just fine. Place garlic, ginger and lemon juice in a food processor and pulse until finely ground. Scrape down the sides of the bowl. Add shrimp to the food processor with the remaining ingredients. Process until a smooth paste just comes together. Pour mixture into a mixing bowl. Place a wonton wrapper on a work surface, moisten the edges with water, and put 1 teaspoon of the filling in the center. Gather the edges of the wrapper up around the filling, squeezing gently, to pleat the sides; some of the filling should remain exposed. Repeat with the remaining dumpling skins and filling, keeping the wrappers and dumplings covered with damp towels while you work. Rig a bamboo steamer over an inch of water; bring to a boil and reduce to a simmer. Put as many dumplings in the steamer as you can fit in a single layer and cover the steamer. Cook until the exposed filling turns pink and the wrappers are tender, 4 to 6 minutes, then transfer the dumplings to a serving platter. Repeat with the remaining dumplings. Serve with the dipping sauce: Mix 1/4 cup soy sauce, 2 tablespoons rice wine vinegar, 2 tablespoons sesame oil, and 2 tablespoons oyster sauce together in a small bowl. Combine all ingredients in a small saucepan & heat over medium-low until smooth. Add a tablespoon or two of chicken stock or water if a thinner consistency is desired.